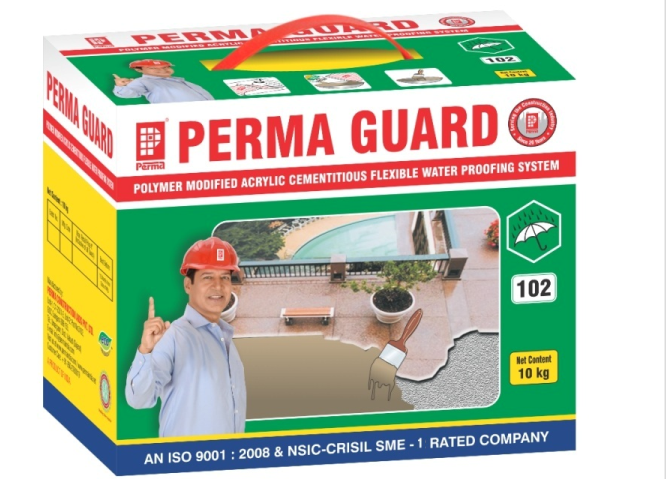 Perma Guard is a polymer modified cementations water proofing system with a very wide scope of applications in water proofing and corrosion inhibition situations. Perma Guard is a two component material which forms a flexible reinforced membrane upon curing. Can resist up to 10 bar water pressure.